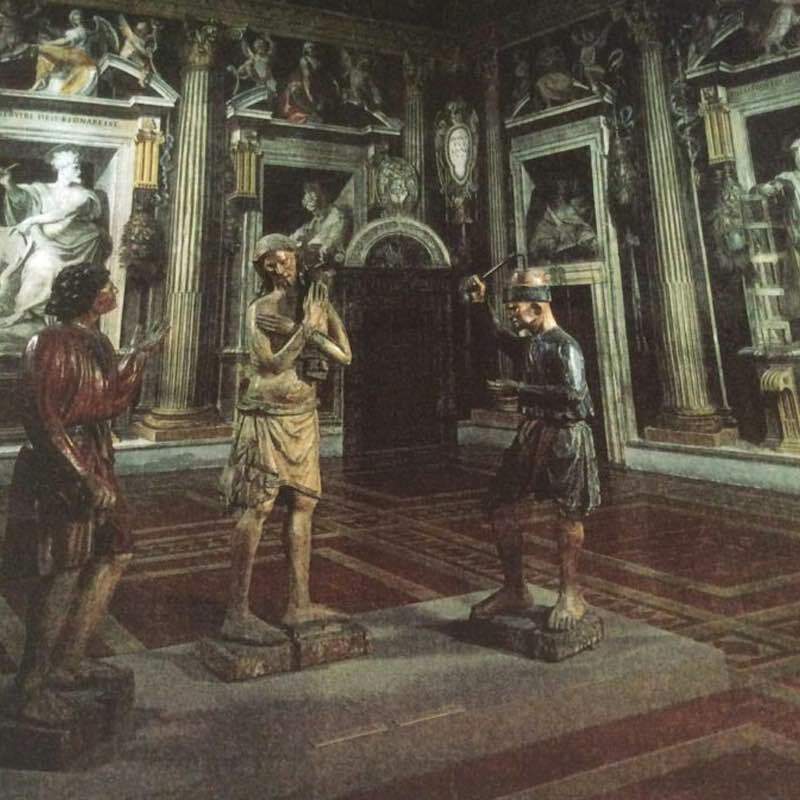 Three life sized polychrome figures of The Flagellation of Christ Before His Passion, dating from the 14th century. Because of their size and detailing, these works are extremely rare and unusual. Most probably they were part of a much larger group of statues that formed various scenes of the Passion and may also have been designed to have been carried in Procession on Good Friday. Restored by the Washington DC Patrons in 2004 for $40,000.